At the moment when we are about to launch a mobile application − whatever kind it may be − our app marketing strategy must already be well conceived. Optimising our app’s title, description and the like is the aspect of our strategy that we can control best. This is known as App Store Optimization − or even more widely as ASO, after its initials. We have discussed several times how to find which ASO keywords match better with our app. We have also discussed which tools to use to find those that are more convenient to us within our industry. This time we will be discussing what we should and what we shouldn’t do regarding each of the steps that comprise App Store Optimization. We will see all current variables that apply to ASO. These range from aspects that we can control ourselves (such as our app’s name, its icon or its price) to other aspects that will depend on our users (such as ratings and reviews). This is one of the most important aspects of App Store Optimization; we must pay attention to the title, as it will be what our users will read first. Include the brand’s or the app’s name in the title. Also include from one to three keywords in the title. Make use of the appropriate tools to determine your ASO keywords. And remember that the most important terms should be among the first 25 characters. Using up all 255 characters allowed (in iOS) is one of the most common mistakes. Android limits the title’s length down to 25 characters. It’s not necessary to use up all characters to reach the limit; write only whatever will be useful. Furthermore, including too many keywords will make users regard the title as spam. Another important aspect of ASO is the description that comes along with the app. Android limits this description to 4,000 characters for Google Play positioning. As for iOS, the description is not taken into account for search related matters but is very useful in terms of marketing. Try to include a description to give more information about your app. Explain how it works, what it is and any further aspects of it. Write a text that is easy to read and include a list of the app’s features, as well as a summary explaining the aspects that have been improved with the app’s latest updates. Avoid using very dense paragraphs when writing. Long texts are harder to read and will probably get the user bored and prevent him from reading the description in full. He may even not download the app for such reason. As you know, designing your app’s icon is very important when it comes to creating mobile apps. Therefore, there are many things we must pay attention to when designing it. The key issue is to create an icon for your app that is 100% original. Some basic recommendations would include using of a single shape or symbol in its design and especially making it as simple and recognisable as possible. Using vibrant colours is a technique worth taking advantage of to make your app stand out over other apps in the store. Some of the most recurrent practices that discourage an app’s download or the engagement with it are those that end up with an icon that is far too complex. This may be caused by having too many different colours and shapes in it or by including large amounts of written text. The mobile app’s overall design is also relevant to App Store Optimization. You will be allowed to include images in the store that illustrate what your app looks like. This means that users will see your app’s design before downloading it. Make the most out of this opportunity to make a good impression even before your app gets downloaded. Make the most out of this feature offered by the stores. Include five images (or screenshots) in the Google Play and Apple Store galleries to show how your application looks like. Using screenshots of your app to guide users through your app’s core features is always a good idea. This way they will get to know its characteristics and how it works before they download it. It’s not always a good idea to include just the single screenshot required for uploading your app to the store. Take advantage of the fact that you can add more images. This can be an aspect where you can differentiate your app from those of your rivals in the industry. Take good advantage of it! Any ASO efforts undergone will be quickly affected for worse if the application − despite being fully developed and having been uploaded to the store − is never updated. Any applications that are not updated, that don’t adapt to new devices or to new versions of operating systems or that don’t get their errors and bugs fixed will end up being relegated to the latest search results in the stores. Make sure you update your mobile app or game development on a regular basis and whenever required to enhance your product’s user experience and quality. Include notes in the app’s description in which users can see easily what changes have been introduced. Something you should never do when intending to create a successful app is launching it and then just forgetting about it. This kind of apps eventually add up − without any doubt − to the thousands of zombie apps that already exist in the markets. An app with no updates or with very few of them will see its ASO hindered and will sooner or later plummet in the store rankings, regardless of whether it was made for iOS, for Android or for both. The ‘stars’ awarded or ratings received from your users are absolutely crucial for improving your app’s search results in the stores. I.e. they exert a direct influence on App Store Optimization. Encourage active users to rate your app to obtain the first app reviews and increase its rating. You can do this by sending a push notification that leads them directly to the store. As a recommendation: try having at least one hundred reviews or ratings for each version of the app that you upload to the store. Also monitor any possible drop in the ratings to be able to act accordingly and solve any possible errors you come across. Don’t think that your app is perfect. Don’t ignore negative reviews made by users of your app. Try to improve those aspects that your users might consider negative for the sake of UX and UI. Remember that if your reviews keep on falling, the reason for this is extremely likely to be that your app contains some bugs and errors that need to be corrected. An app’s price is often the determining factor for downloading it or not. Even though the price has no effect on ASO, the amount of downloads does. This means that you must study carefully how to monetise your app. Be sure to offer a price that is competitive within your specific category if you’re going to charge for downloading your app. If − on the other hand − it’s a free app, monetise it by including in-app purchases and indicate which purchases are available right away in the app’s description in the store. What you shouldn’t be doing is offering an app that is more expensive than any other app of its kind. And if you do, it would be a huge mistake not to indicate and make clear why it costs more than others. 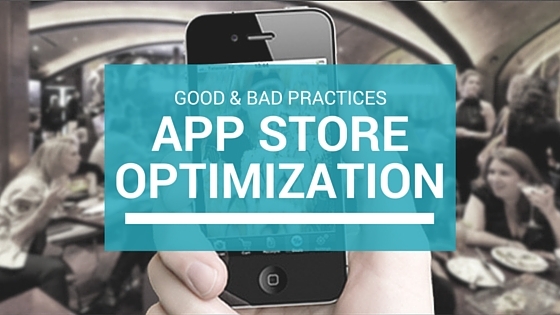 We have already mentioned it above: your app’s scope affects App Store Optimization directly. By scope we are specifically referring to the number of downloads achieved in the store, even if the number of active users also matters. Similarly, having users who download the app and delete (or uninstall) it shortly after will have an adverse effect. Having your app available in multiple languages is one way to increase downloads, as you can reach a higher number of users residing in different countries. English is a sort of lingua franca that almost everyone understands nowadays. However, it will always come in handier to users who are native in a language other than English to have the app available in their native language. Likewise, it’s also important to develop an app that is compatible both with different mobile devices as with different versions of operating systems. Even though your app should be launched in a language understood by virtually everyone, launching it in English only is not recommended for the sake of ASO. Similarly, it’s not a good idea to launch it exclusively for brand-new devices and the latest operating systems. Adapting your app to the changes happening in the industry will improve its ASO.